Ask-A-Pro: Should I Take My Car Through A Car Wash? I take my car to a car wash about once a week but I’m not sure if this is bad for the paint or not. Please let me know. Thanks for submitting your question Jameel! Well the answer really depends on the kind of car wash you’re taking it to, but the short answer to your question is: Don’t take it to the car wash because it IS bad for your paint! Having said that, let’s take a quick look at the different kinds of car washes. First, there’s the tunnel wash with spinning “brushes” so to speak. We like to refer to these as swirl-o-matics! You can spend 20 hours polishing a car to perfection, and completely ruin it in one trip through this car wash. These are typically abrasive, and the dirt and abrasive debris from all of the other vehicles that have gone through there is now being applied to your car…at a high rate of speed. Avoid these at all costs! Next there’s the “gentle” or “soft-cloth” car washes. The selling point on these are the fact that (a) they are made of soft cloth hanging vertically from the ceiling, and that (b) they just gently agitate the surface. Yes they are more gentle than the spinning brush tunnel washes, but they are still abrasive nonetheless! Once again, the “soft cloth” isn’t so soft because it’s caked with abrasive debris from all of the other vehicles that have been there. The small amount of water being sprayed to them between each wash isn’t enough to thoroughly clean them. Avoid these as well. Finally there’s the touchless, or laser wash places. These don’t get the cars as clean, but they are far more safe than the other types of washes. I’d rather have a partially dirty car than a clean one with swirls that you get with the other types of washes. The biggest drawback to these however is that they use pretty harsh chemicals to do the cleaning so I wouldn’t recommend using them on a “regular” basis. So what about the places that do hand washes? If it’s a volume based place with an assembly line of people working there, you’re probably getting the same abrasive kind of wash as an automatic car wash would provide. Unless you find a professional detailer that is schooled on the 2-bucket method of car washing, it’s going to be very difficult to receive a scratch-free wash. If you have a place to do your own washing, I would highly recommend learning the latest washing and drying techniques to keep your paint looking its best. Improper washing and drying is the number one reason for swirls and scratches in paint! I hope this helps, and please leave a comment in the box below if you have any additional questions! 38 comments on Ask-A-Pro: Should I Take My Car Through A Car Wash? i avoid car washes at ALL costs. even if it means my car stays dirty for weeks at a time until i have an opportunity to clean it. Todd hit it all on the head with his response, so i dont have much to add. Since I know you’re from Ohio, would you recommend Mike’s Carwash for a quick wash? Sorry Fabian…I am not familiar with them. The only reason and time that I use a car wash is in the winter and that is a touchless. The reason I go there is for the underwash (where you are basically driving over a ‘hose’) and it’s helping wash the salt off the car. Todd, could you recommend an alternative what would work better in removing under carriage salt from the winter? Running it through a touchless during the winter like that is fine as long as it isn’t a regular thing. Just make sure you’ve got a durable sealant on the car to get you through. Don’t tell anybody, but I’ll run my car through the touchless a time or two during the winter to get all of the salt off of it after a bad storm…then I’ll follow that up with an ONR wash at home or the shop and a quick touch-up with a spray wax. Is a “wand” wash okay during the winter months and to get rid of road grime until I can do a hand wash? Another great article. You are so right. for example, I had one vehicle swirled big time after using a car wash during winter. Never again. Washing by hand, or not at all, for me – even if the car stays a little dirty a little longer. Many thanks for that details. It’s very appreciated! Best regards. This is a good, but a bit scary article. I wonder what’s the best way to fix those years of car wash abuse? I’m looking into buying a CPO car but even those all seem to have been exposed to harsh brushes and have swirls all over. Once the vehicles get swirled up like this, you need to either hire a professional detailer or learn about the tools, techniques, and products to do it yourself. Fortunately for you, there are hundreds of articles here in the Detailed Image Blog that can help you with the entire process. Todd,as a 28 yr Detailer I find that the definition of professional Detailer is used to scratch up lots of cars.I’m building two automatic washes right now,1soft cloth and 1 touchless. You can not clean a car without some friction,the latest NEW wash technology is not perfect but will give you 90% better wash than old.the salt must come off the car as soon as possible. The spiderwebs in the photo above are also results of people washing in a circle while applying to much pressure without proper lubricant SOAP. Thank you for your insight. Greg @ Riverfront Details.Boiler Up ! Here is my problem. I just bought a brand new 2015 BMW 335i. Straight off the truck with no miles. It was prepped and ready for pickup. It had been washed and waxed and looked beautiful. I did not examine close enough to see if it had a scratches or swirls from the wash & wax but at first glance I didn’t notice anything. As we finished up financing they offered us Simoniz Glasscoat. A polymer that chemically binds with the clear coat to create a ceramic glass resin to protect against pine tar, bird droppings, acid rain. Lifetime warranty. Seemed like a good idea. But, they had to remove the wax they just put on in order to apply the Glasscoat. Now the car looks like I washed it. I see many fine lines and circular marks as if someone buffed the car. Most noticeable on the the horizontal surfaces. It’s a Black Car! I did not expect that. They have offered to remove the Glasscoat, buff everything out on the hood and trunk and reapply the Glasscoat. My question is – what does it take to remove the Glasscoat and is all this just going to make it worse or show no improvement. What should my expectation be. I sure hope you can give some advice. Your website and articles are excellent and while the salesperson tells me it will be fine, I’m not sure what to believe at this point. I wish I had never gotten the Simoniz because then I could have followed the directions on your site and perhaps taken care of the problem. It just looks like the car has been washed and wax by an ordinary person. It’s a brand new car. It should look like this. They will be able to polish this product off, but please be careful when letting them do this. In my opinion, Car lots are not trained to properly polish a vehicle the same way most professional detail shops are able to. If you trust them enough go ahead and let them polish and re-apply the glass coat. 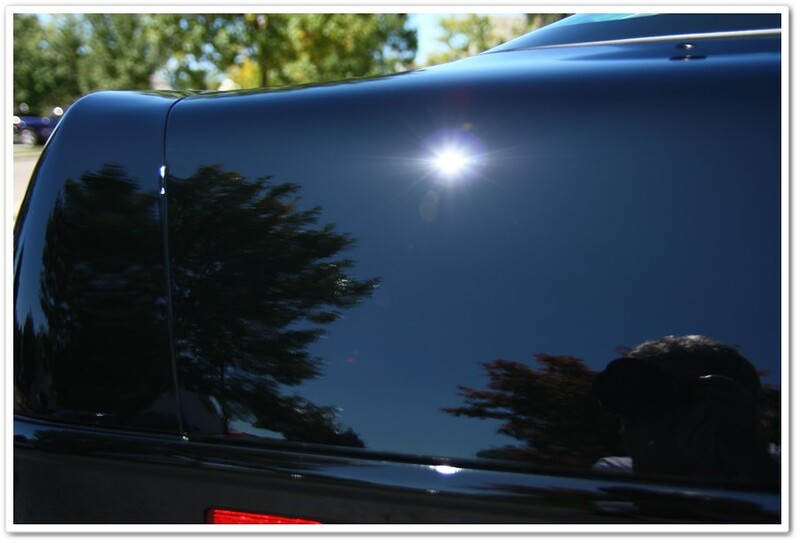 If you continue to notice swirls and circular marks then I would request your money back and seek out a professional detailer who is skilled and trained to properly polish your vehicle and apply glass coatings. I am a disabled 65-year-old woman who bought a beautiful used 2014 Hyundai Sonata in pristine condition about a month ago. I want to keep it looking good, but according to your article, even touchless car washes are an iffy bet. It would be nearly impossible for me to do the washing, polishing, waxing, etc. myself, and there is no one else at home to do it for me. I can get around by myself, but just barely. Even if I hire a friend or a friend of a friend to do it, I don’t know if they would be as careful with my car as I would if I could do it myself. What should Someone in my situation do to keep my car looking its best? My philosophy is if you drive a car that depreciates in value (Hyundai), then just run it through whatever car wash and get it waxed once a year. If you have a car the APPRECIATES in value (Ferrari, Rolls Royce, other collectibles) then yes, go crazy and wash and wax it by hand. You need to maintain your investment. Went through car wash once with brand new black Mercedes (stupid I know) – a small amount of light scratches — anything I can do to make it look better now? Polish etc? Polishing is generally regarded as the most important step in the detailing process because it creates an optically clear surface so you get that deep shine back where as the sealant and wax can only enhance the way the paint already looks. It will help remove imperfections you are seeing in your paint and bring your car back to life! We generally recommend a two step process with a light and medium polish and pad combo for best results. However if you only have light imperfections I would recommend a one step polish. The Menzerna SF 4000 (https://www.detailedimage.com/Menzerna-M10/PO106FA-Nano-Polish-Super-Finish-P228/16-oz-S1/) with a white or black pad is a great polish combo that will remove these light imperfections while finishing down extremely well. These polishing steps generally work best with a buffer and we have a completely safe and highly effective option if desired in the Porter Cable 7424 XP (https://www.detailedimage.com/Porter-Cable-M17/7424XP-Random-Orbital-Buffer-P331/). If you insist on perfection a great two step polish package is the Porter Cable 7424 XP M105 and M205 kit (https://www.detailedimage.com/DI-Packages-M29/PC-7424XP-M105-M205-pads-P438/). If you don’t want to do use a buffer we generally recommend a one step process with the Meguiar’s Ultra Finishing Polish M205 – (https://www.detailedimage.com/Meguiars-M43/Ultra-Finishing-Polish-205-P389/8-oz-S3/). I never knew that car washes can actually damage your car’s paint job! I always assumed it was better to go to a car wash than to clean your car yourself! After thinking about it now, it makes a lot of sense- the materials that clean your car probably pick up a lot of debris from other vehicles! I think if a place hand washes your car you are probably ok though, but then again, it is all a matter of personal preference! I made the mistake once of bringing my new to me BMW to a car wash. Big mistake, too many scratches to count ranging in depth from light to beneath the clear. Luckily my brother had an auto body shop at the time and was able to restore the car to its previous condition, which was near perfect. Now I have a new car and generally wash it using the 2 bucket method every 2 weeks or so, always using 2 new mits each wash. Unfortunately I don’t trust myself to machine polish or wax, so I have the car professionally detailed every couple months. The key is to find a detailer you trust with many years of experience. The detailer I use lets me know what is required at the time of my visit, which often times is less then expected, saving me money as a result of his honesty. Also my car being a new WRX has a thin clear coat, but my detailer knows this so he details the car accordingly. So best advice I can give is to avoid auto car washes and find a detailer you really trust if you truly want to maintain your cars paint, which happens to be one of the most expensive elements of many cars. TLDR: Avoid auto car washes like the plauge. Use the 2 bucket method and new wash mits every wash if possible. And find a professional detailer with years of experience that you can trust. I always handwash my car and the paint is still pretty appealing 3 years later. Recently purchased a brand new 2017 Toyota Corolla and now just 2 weeks in service, it could use a wash. Could you recommend DIY products to wash and wax and how often should I wax? Are places like autozone etc good places to acquire? Any recommended upholstery cleaning products to use or avoid? Thank you. Kat – When washing you want to be extra careful. Most swirls come from this process so be sure to use good technique and quality products. I would recommend picking up a shampoo like the Chemical Guys Maxi Suds (https://www.detailedimage.com/Chemical-Guys-M31/Maxi-Suds-P224/16-oz-S1/). This shampoo has lots of foam, great lubricity, and it gentle cleaning power. If you pair it with a good wash media (ie. the Sheepskin Wash Mitt – https://www.detailedimage.com/DI-Accessories-M12/Sheepskin-Wash-Mitt-P120/) you will be able to lift contaminants off your paint safely and easily. After washing I go back and spray on the CarPro IronX (https://www.detailedimage.com/CarPro-M54/IronX-Iron-Remover-P600/500-ml-S1/) and it dissolves iron deposits and more in the paint safely and quickly. Let it sit for about 1 – 2 minutes and then rewash the area. Doing this step removes any stubborn build ups and it makes the next step go so much faster. Autozone has some good products, like Meguiar’s but some products may not be so high end. I am not sure exactly what the entire line of products they carry are, but if you do have any questions about them please let me know. For interior upholstery, I like the 303 Spot Cleaner and the 303 Fabric Guard. Both come at a great value and work great! This assumes that everyone has the time and especially the PLACE to wash their cars themselves. I would dare to say at least 75% of people in society do not, hence by car washes are so popular. So what do you wanna to do, wash our cars in front of walmart and get arrested? We simple DO NOT have a place to wash it. Also, if you have a regular car, as most people do, then you shouldn’t be so concerned about this. It would make sense if you have a luxury or super car as some guy above said. 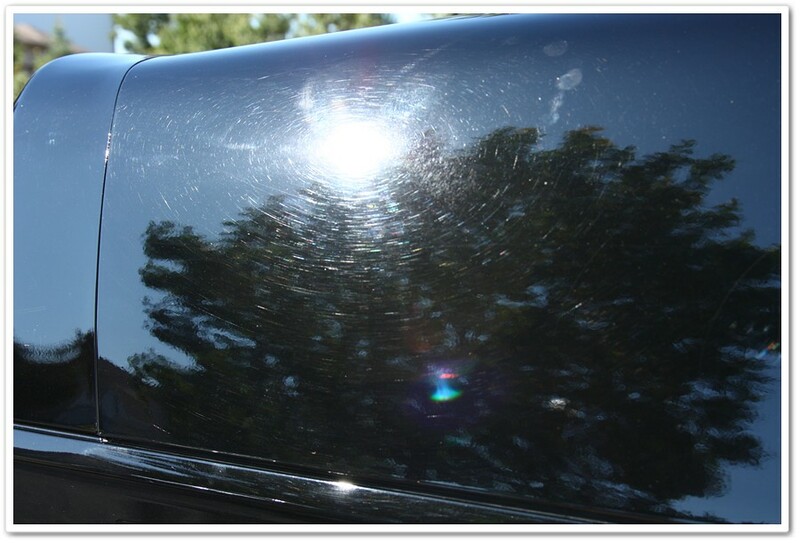 Besides, you are actually doing more damage to the clear coat by NOT washing the car or washing it less often. That is certainly a great point and not everyone has the time or the place to wash their car. In these instances, we always recommend going to a touchless car wash. These car washes can help you clean your car, without the risk of the dirty brushes from a regular touch car wash ruining your paint. I personally use touchless car washes or wash bays all of the time up here in New York as my hose pressure is weak and I always get a better, more thorough cleaning when using these two options. What is your opinion on using just wax to rinse your car? I just got a 2017 Subaru sport impreza in silver this month. I have not washed the yet. And I wanted to hand wash it then use the water wax at the car wash to rinse i like the wax finish. Nice blog! Interesting and informative one. I liked it too much. Keep on posting such a good ones. Thanks for the post! If anyone asks a pro, should he take his car through a car wash, then always the answer will be Yes. Because a car was has no negative impact. So, why would he say No.? In fact, a pro will tell to go through the car wash from time to time, by which a car will look smarter and perform better. Here, one thing I can tell that one can wash his car on his own, but I don’t think it is that much effective as that of a professional washing. Though washing the car by a professional is slightly expensive, still, it is better to go for it, because by a professional car wash we can improve the performance of our car and extend its life span for some years. Took my car Lexus RX 350 for soft brush car wash came out with damage to cover of spray for the light cost me $750 to fix car wash owner refuse to compensate me saying that this cover is not fully hidden in the pumber of the car any one have similar damage . I can see why having a pro wash my car is a better choice. Those two pictures are all the argument you need. The second picture looks terrible, since there are so many scratches there! I don’t want my car’s paint to look like that. What is your opinion on getting ceramic coating? I have had one car-detailer tell me that after an application of Ceramic coating (CQuartz UK Ceramic Coating), taking a car through an automated car wash would strip the coating. Another car detailer told me that ceramic coating (Opticoat PRO) can certainly be taken through an automated car wash.
Are you able to shed some wisdom on the matter? Thank you. I for the first time have a pretty car and I want to keep it that way! This answer has given me so much knowledge and helped me so much in car washing. There are so much sand and dust under the hood of my Ford Ranger after my last off-road. Could I clean it by hands, and what steps should I follow? There is a lot of generalized information here, some of which is not accurate. The ‘spiderwebbing’ black paint on the mirror shown is the result of wear and tear on the paint of a vehicle that is not consistently hand waxed.It’s certainly not a direct result from an express wash. The flex wraps that make contact with the mirror move in linear direction down the side of the vehicle and do not ‘swirl’ in a rotary fashion. Also, the chemicals used in a touchless wash are incredibly harsh on your vehicle and it’s paint, so those would be less than safe on your paint as well. Detailing is fantastic and from a paint safety and cleanliness perspective and is clearly a superior method of cleaning. That said, if want to keep a more frequently clean car as well as avoid wasting an immense amount of water for a much lower cost, express car washes can be a great solution. Daniel – Thank you for the reply! Please however note that touch car washes can always cause swirls and scratches. The imperfections you are seeing are from a touch car wash, not from not waxing. Waxing is great to help protect your paint for 3-4 weeks, but even a freshly waxed car will not protect from these mats, brushes, etc. that these washes use. It all comes from the high speeds, rough brushes, and tons of dirt from all the cars going through the wash that can cause all of the damage. I highly recommend never taking a car through these types of washes, unless you do not car about the appearance. For the touchless wash, they are certainly not ideal, but much safer than touch car washes. The chemicals used are harsh, but I have never had issues with my paint. The only issue I have seen is drying out my trim. This is why I only use a touchless wash in the winter (when it is too cold to hand wash). I also always make sure to treat my trim after to help avoid any drying.